Eddy Zheng is facing deportation because of mistakes made by his public defender when he was 16. The State of California and Governor Arnold Schwarzenegger have indicated that Eddy, now 40, poses no threat to society. Eddy Zheng, Prisoner Rights Advocate. 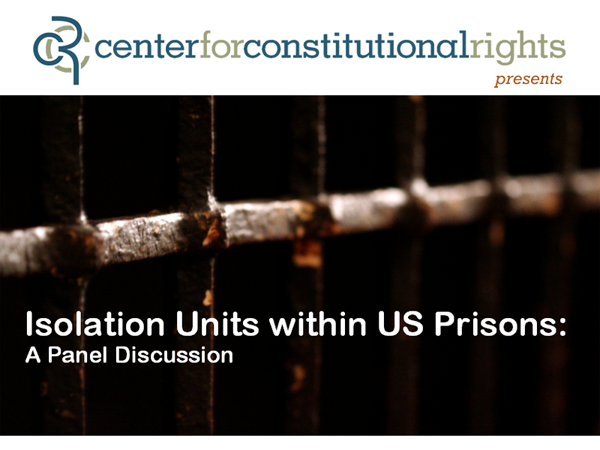 Moderated by: Sara Norman, Attorney, Prison Law Office. All of Us or None and Green is the New Red. Eddy Zheng needs your support now! 12/24/10: After serving over 20 years behind bars for a robbery he committed at age 16, Chinese American community leader Eddy Zheng now faces deportation to China, a huge loss to the Bay Area community. Released from prison in 2007, Eddy has dedicated his life to preventing youth violence and delinquency through his work at the Community Youth Center, Community Response Network, and many other SF Bay Area programs and organizations. Flawed immigration laws make Eddy deportable to China, although Eddy has already served his sentence and was found suitable to re-enter society by Governor Schwarzenegger himself. Eddy Zheng has submitted an application for clemency with Governor Schwarzenegger. 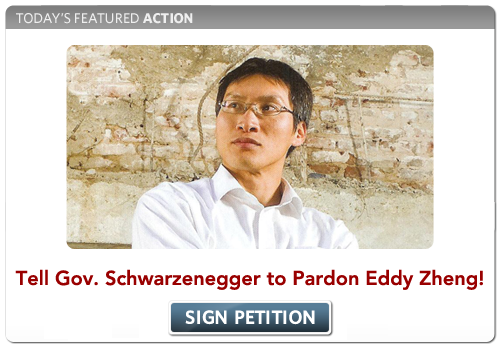 Please tell the Governor to grant Eddy a pardon, which may prevent Eddy's deportation to China. Why is this an important time to take action? Governor Schwarzenegger will be termed out when the new Governor takes office on January 3, 2011. Many governors have historically granted pardons before they leave office. We want to take advantage of this opportunity by making a strong PUSH for Eddy's pardon during the governor's last week in office. Sign the Change.org petition to show that there is community support for Eddy! Pass it along and ask your friends to sign too. This is a different petition from one that was recently circulated on Change.org, so even if you think you've signed it double check and sign again. Why does Eddy deserve a pardon? After being convicted as an adult for a crime he committed when he was 16 years old, Eddy served over 20 years behind bars where he transformed himself into a renowned prisoner rights advocate, youth mentor, poet, and author. In 2005, Eddy won his parole only by demonstrating to the parole board and Governor Arnold Schwarzenegger that he was a model inmate who acknowledged his mistakes, expressed remorse for his crime, and did everything he could to improve himself. At his parole hearing Eddy had letters of support from the judge who originally sentenced him, the Assistant District Attorney who prosecuted him, a former director of the California Department of Corrections, and dozens of state legislators, local politicians, and community leaders. Today, as a Program Manager for youth outreach programs in the San Francisco Bay Area, Eddy is an asset to the community. Eddy's immigrant teenage years in Oakland and his incarceration experience have enabled him to conduct effective outreach and intervention strategies for youth, many of whom who are at-risk for entering the criminal justice system. Eddy has already served his time for his crime. It is unfair for him to be punished twice for the same crime. Keep Eddy at home with his family and his community! Co-Author of "Other: An Asian and Pacific Islander Prisoners' Anthology"
UPDATE: Eddy Zheng has been released! 2/27/07: This does NOT mean that he will not be deported. This only means that he is no longer being held in immigration detention, while the government attempts to carry out his deportation order. Eddy is challenging his deportation order in federal court. If the government is able to carry out the deportation order before the court overturns it, he will be sent to China. Although this final hurdle remains, his release is a HUGE victory -- the first time Eddy has been on the outside in 21 years. 11/3/06: The Board of Immigration Appeals rejected Eddy's appeal of his deportation order. The BIA is a very conservative and unsympathetic board; Eddy and his lawyers will appeal this decision to the 9th Circuit Federal Court of Appeals. Eddy is also challenging his ongoing detention at the Yuba County Jail and hopefully will be released from custody during the appeals process. 7/19/06: The immigration judge ruled against Eddy Zheng and decided that he should be deported. In making his decision, the judge applied criteria that would be essentially impossible to meet. He explained that he would only stop Eddy's deportation if it were a matter of national security, regardless of Eddy's own rehabilitaton and community support. Eddy and his lawyers believe that the judge incorrectly interpreted the criteria that should have been used to decide Eddy's case. An appeal has been filed with the Board of Immigration Appeals, which usually gives its decision within 6 months. During this time, Eddy will remain in custody as an immigrant detainee at Yuba County Jail. Eddy's visitation hours at Yuba County Jail are now Sundays 7:45-8:45pm and Wednesdays 7-9pm. 7/13/06: At the final hearing in Eddy Zheng's deportation proceedings, the judge heard testimony to clarify specific questions he had about certain aspects of the argument Eddy Zheng presented against his deportation. 4/13/06: In this hearing, the immigration judge heard testimony about the conditions Eddy Zheng would face in China if he were deported there. 3/22/06: The immigration judge heard strong testimony from expert witnesses who testified about the value of rehabilitated ex-offenders in the community. A hearing has been scheduled for April 13, which will include testimony about the conditions Eddy would face if he were deported to China. The judge is expected to issue a decision at the end of that hearing or soon thereafter. 3/16/06: Eddy Zheng was featured on KPFA 94.1 FM on the APEX Express show. He was interviewed from Yuba County Jail about his fight against deportation. Listen to it on-line (Eddy's segment begins at 18:37). 3/6/06: The San Francisco Youth Commission issued a statement in support of Eddy Zheng. The Youth Commission calls on immigration authorities to allow Eddy to remain in the U.S. so he can work with at-risk youth in the San Francisco Bay Area. Read the text of the statement. 2/28/06: The San Francisco Board of Supervisors passed a resolution in support of Eddy Zheng, reflecting the broad community support for Eddy's request to remain in the United States. Read the text of the resolution. 2/13/06: At Eddy Zheng's deportation hearing today, the immigration judge finished hearing testimony from the remaining witnesses who were not able to testify last week, due to time constraints. The hearing included testimony from Eddy's sister, several long-time friends, and particularly moving testimony from his mother. After completing the testimony, the judge unexpectedly decided to give both sides the opportunity to add more witnesses before making his decision; any additional witnesses must be submitted by the end of this week. 2/6/06: At the first part of his deportation hearing, Eddy himself gave testimony and was cross-examined for about 4 hours in total. The court then heard crucial testimony from the Assistant District Attorney who prosecuted Eddy for his crime in 1986 and who now believes that Eddy should not be deported; the President of the San Francisco Board Education, Eric Mar; and well-known communty leader Rev. Norman Fong, among others. Most importantly, this was the first time in 20 years that Eddy Zheng has had the chance to speak publicly on his own behalf. The judge still has to hear from about 10 more supporters, including members of Eddy's family. 10/24/05: Immigration Judge postponed Eddy Zheng's deportation until February 6 because his visa application has not yet been processed. 8/10/05: The East Bay Express ran a cover story on Eddy Zheng: "The Last Stand of Eddy Zheng." Check the Articles page for more. 7/26/05: The Immigration Judge agreed to Eddy Zheng's request to postpone his hearing until October 24. This will allow enough time for the immigration bureaucracy to process his application for a visa, which is a critical piece of his fight against deportation. 5/9/05: The Immigration Judge denied Eddy Zheng's request for bond and set the next hearing for July 26 at 1pm. Eddy continues to regularly write entries for his blog, so check there to hear the latest news directly from him. 4/21/05: The Sacramento Bee ran an article on Eddy Zheng today: "Inmate wields blog in deportation fight." Check the Articles page for more. 4/13/05: The San Francisco Bay Guardian published a good article about Eddy Zheng's fight against deportation in this week's issue. Click here to read it. Check the Articles page for more. 3/25/05: Eddy Zheng's deportation hearing is set for May 9 at 1pm in San Francisco. 630 Sansome St (@ Washington), 4th Floor. Be there! 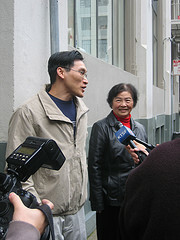 3/16/05: Eddy Zheng has first hearing in his deportation proceedings in San Francisco. Nearly 60 supporters pack the court room, and Judge Michael Yamaguchi recuses himself from the case. 3/10/05: Instead of being released, Eddy is transferred from Solano State Prison to the custody of Immigration & Customs Enforcement (ICE). He is moved to Yuba County Jail in northern California. 3/8/05: Governor approves Eddy Zheng's parole after serving 19+ years of a 7-to-life sentence. Click the images below to see video footage (Quicktime format). Eddy Zheng is facing deportation for criminal convictions from nearly 20 years ago. He came to the US from China with a green card when he was 12 in 1982. He pled guilty to a robbery when he was 16 and was sentenced to 7-years-to-life as an adult in 1986. Zheng ended up serving more than 19 years as a model prisoner before being granted parole in March 2005, at the age of 35. In prison, Eddy taught himself English, completed his GED and earned a college degree. He has worked extensively with at-risk youth and has several job offers to implement a youth program. He won his parole by demonstrating to the parole board and Governor Arnold Schwarzenegger that he does not pose a threat to society. This could have been avoided if Eddy's public defender had simply asked the judge in 1986 to order immigration authorities not to deport Eddy when he finished his sentence. After finally winning his parole and ready to make positive contributions to society, Eddy Zheng has extensive community support. Eddy was unable to get his citizenship while incarcerated. His family members are all U.S. citizens and live here. “I believe that Mr. Zheng is an ideal candidate for parole...Mr. Zheng serves as an example of the California Department of Correction’s ability to provide prisoners with the opportunity to rehabilitate themselves with the ultimate goal of reintegration into society."